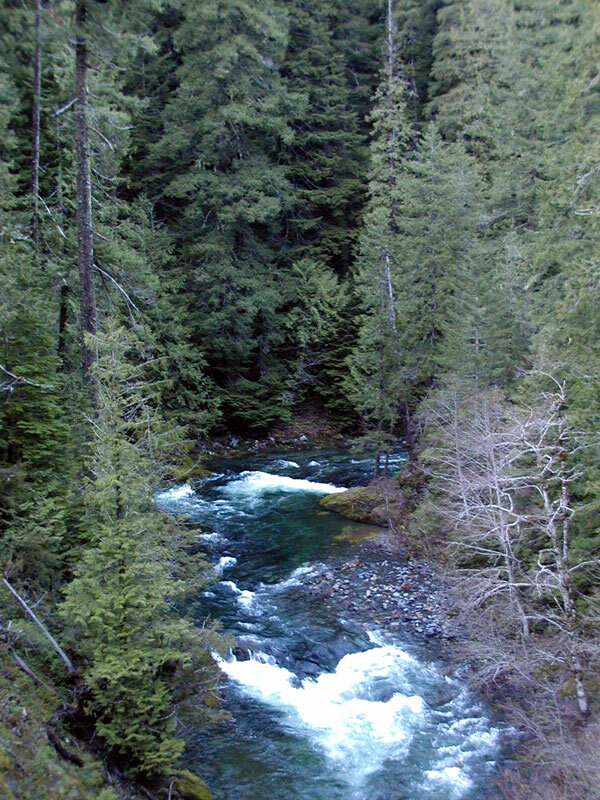 Upper Quartzville Creek is one of the classic runs in Oregon. 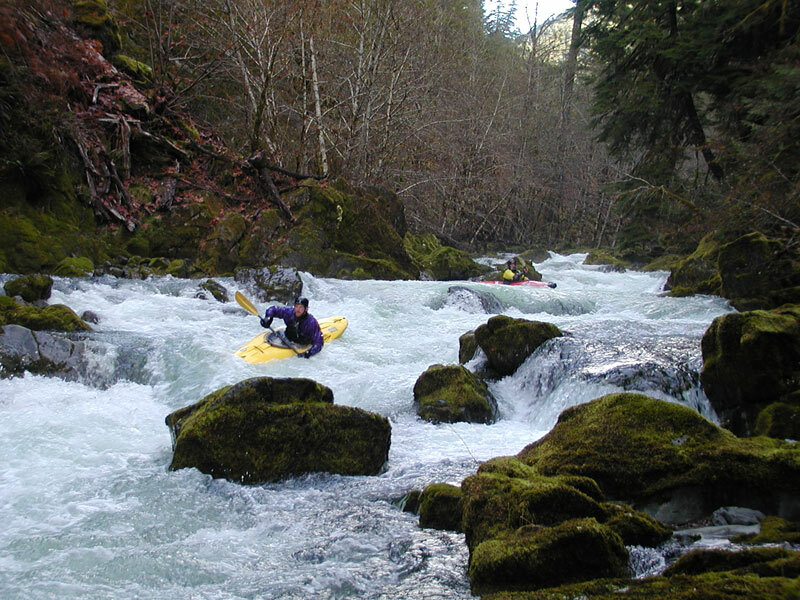 With wonderful water quality, great geology, and fun rapids, boating doesn’t get much better than this. I remember doing a Upper Quartzville shuttle for some expert boaters back when I first started boating in the early 90’s; when Upper Quartzville was considered Class 5 territory. Now most boaters consider it fun, Class 4-4+ depending on the water level. At high water there are some Class 5 drops but I don’t run it regularly at those flows. For me, there are really only two problems with Upper Quartzville; it’s a long drive from the Portland area and the road gets snowed in during much of the winter. These two factors mean I only really get on Quartzville maybe once or twice a year at best. Never the less, every time I’m here I’m amazed just how much fun and beautiful the river is. 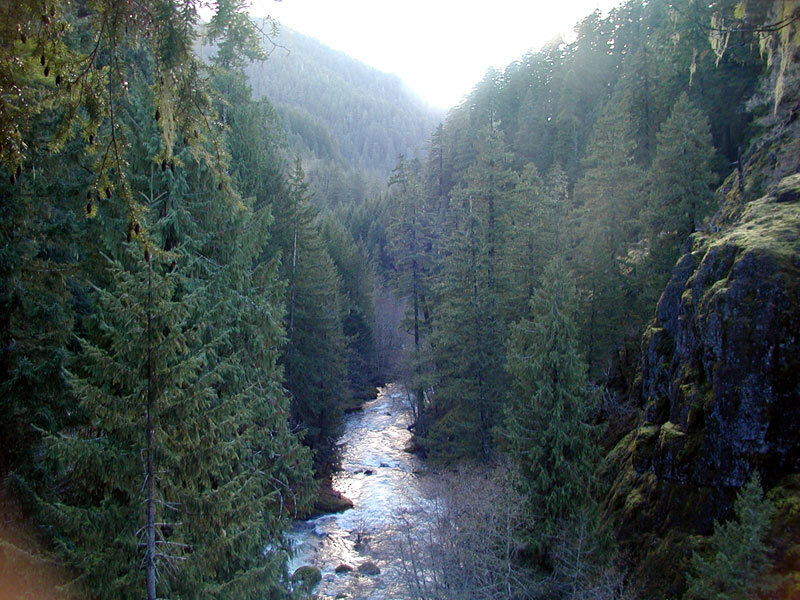 It’s also Jason’s favorite river so he usually provides an amazing amount of energy and enthusiasm. Always fun to see him bouncing around the car just itching to get on the river and then charging downstream, whooping and hollering with a big grin on his face. This trip Jason and I had a couple first-timers with us; Matt and Jacob. As usual, we scouted a couple of the bigger drops on the way down to check for wood. The run starts out with a bang with Technical Difficulty and Grocker. Technical Difficulty is a long boulder garden that ends with a steep drop into a turbulent hole. Grocker is a sweet, narrow ledge drop just below. Below these two drops is a long stretch of boogie water that is mostly read and run. There are some really nice, classy moves in lots of the drops; including a long slide and a couple narrow pinches. Really just excellent, no stress boating. After this section is Corkscrew; a narrow twisting drop with a good pool below it. At low flows there is a good hole at the bottom of Corkscrew but at the medium flow we had it was just a fast, fun wave. Next up is Movie Star which has a big hole on the left. 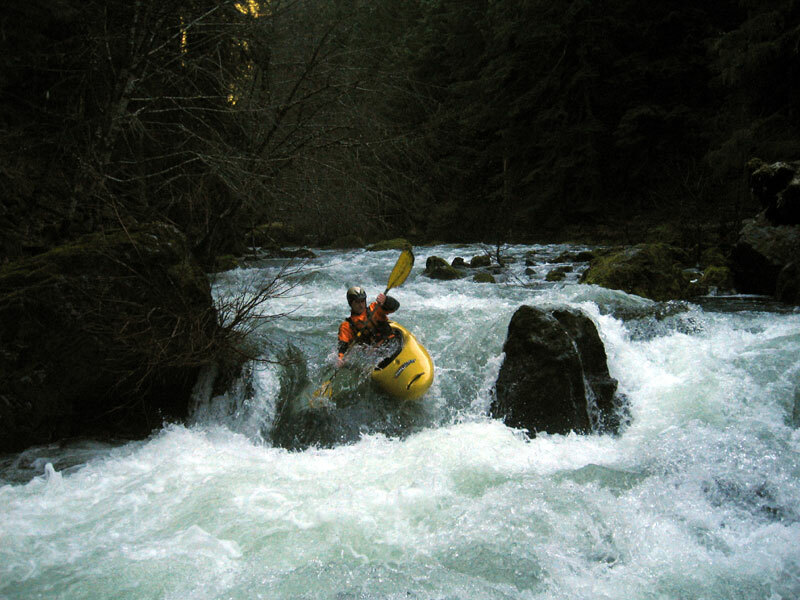 Once below Movie Start the real fun starts with a solid half mile of fantastic, read and run, Class 4 rapids. Good boofs, sliding ramps into soft holes and boulder dodging make this section my favorite on the whole run and one of my favorite on any river. 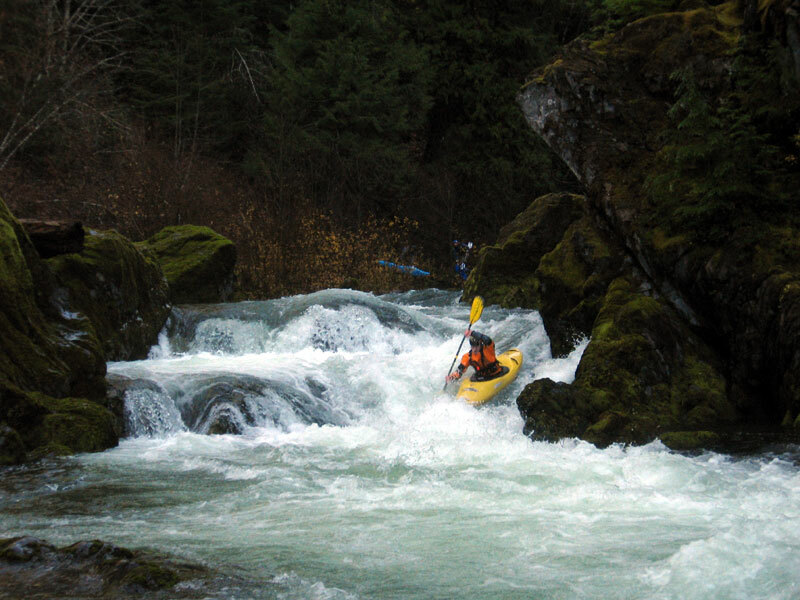 We generally take out right below this section of rapids as the river starts to quiet down some and rather than continue downstream we like to head back up for another lap. The second lap usually becomes a fast, blue-angel-style flush with no scouting and very little stopping. Rapids run together and I have to remind myself to look up every now and again to soak in the awesome scenery. I usually stay towards the back and do a bit of soul-boating by myself and contemplate the journey that has taken me from a star-struck shuttle driver to thoroughly enjoying boating Upper Quartzville Creek. It’s been a great ride.